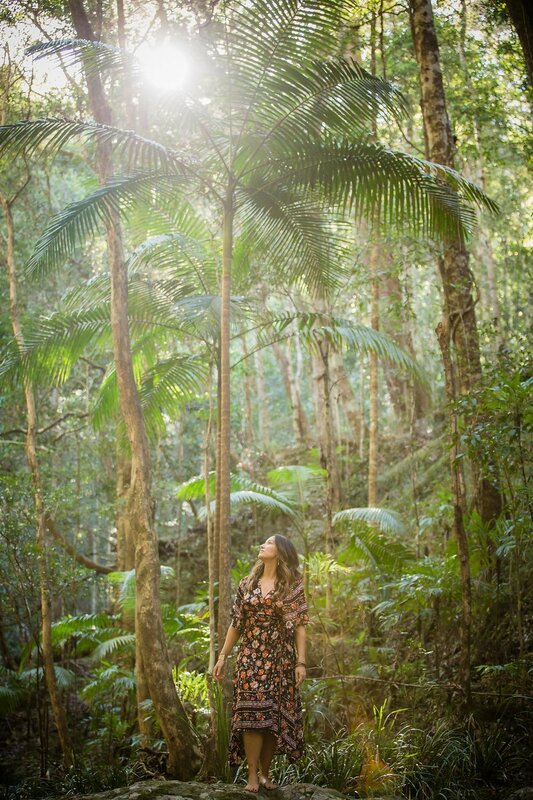 Spend seven days at Gymea Eco Retreat in the Byron Bay Hinterland from June 28th to July 4th 2019 immersing yourself in meditation, mindfulness and movement. This retreat is lead by Cassie Thomas (yoga teacher), Venerable Shih Jingang (Buddhist Priest of the Nien-Fo Ch’an Order of Monks) and Jessica Maguire (mindfulness meditation and Pilates teacher). Parts of this retreat will be spent in noble silence to allow a full immersion into the teachings. Insight meditation retreats give us the opportunity to see clearly the reactions and distortions that arise in our daily life and to cultivate an awareness of the freedom and clarity that is available in each precious moment. Insight meditation techniques and mindfulness allows us to cultivate a greater understanding and deeper wisdom. Those meditators with an established practice can look more deeply into the meditative process itself and bring more ease and acceptance into their sittings. This retreat welcomes men and women 18 years and older, regardless of meditation, yoga and Pilates experience. 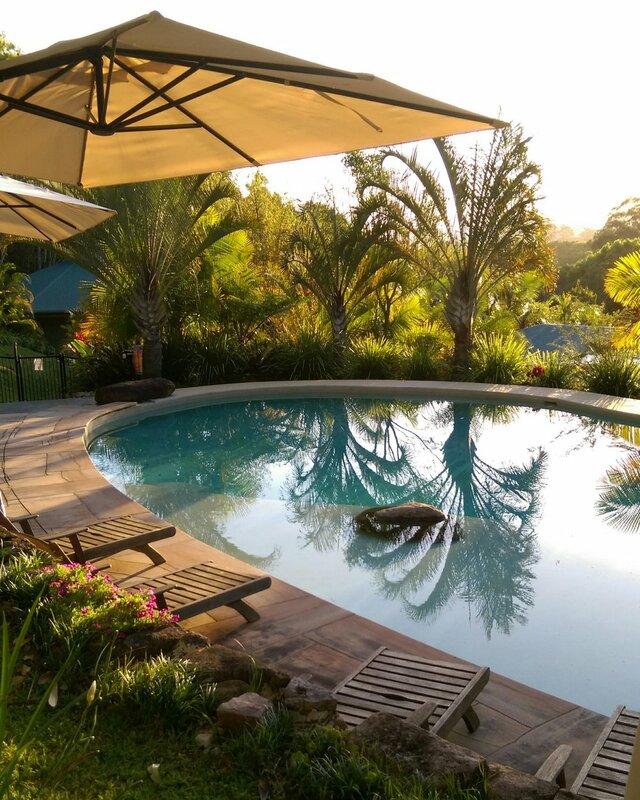 Gymea Eco Retreat is positioned on 113 acres of secluded, undulating rainforest with stunning views of Mt Warning (UNESCO World Heritage national Park). Gymea is positioned in the heart of Australia’s Green Cauldron, an iconic landscape identified as one of the creative and spiritual heartland of Australia. 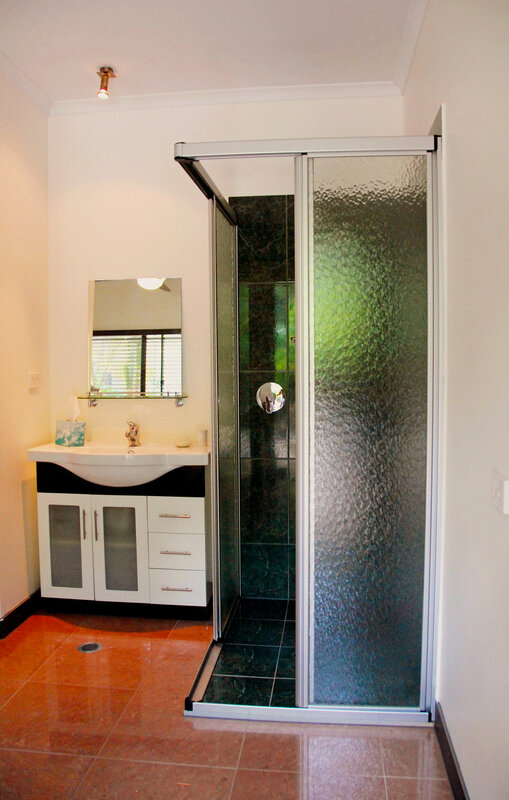 Please note that the shower is positioned within each room. We are happy discuss room allocations with you if you are travelling alone and wish to share a room. If you are travelling with someone please advise who you would like to share with. Healing Spa offerings include Massage & Organic body treatments, Sauna, Steam room, Plunge Pool and you can enjoy our wonderful hydrotherapy Spa. A 60 minute massage and plunge are included to help your body unwind. This retreat includes gourmet vegetarian meals. Tea, coffee and snacks are also included in the price. This retreat is alcohol free. If you would like to attend this retreat please complete the Retreat Application Form below. We will contact you afterwards to arrange your booking. Venerable Shih Jingang is a Buddhist Priest of the Nien-Fo Ch’an Order of Monks, and is Resident Teacher of the Buddha-Heart Fellowship of Tasmania. He was first ordained at 6 years of age as a Rabjung Monk of the Rechung Kagyu lineage, and was trained in the ways of the Mahayana and Vajrayana paths by his Heart Guru Venerable Lama Senge Tashi. In later years he completed a three year solitary retreat, and then trained under teachers of various traditions until eventually finding a home in the unified Ch’an and Pure Land Buddhist tradition. With over 45 years of training and practice, “Sifu” draws upon teachings from a range of Mahayana lineages. 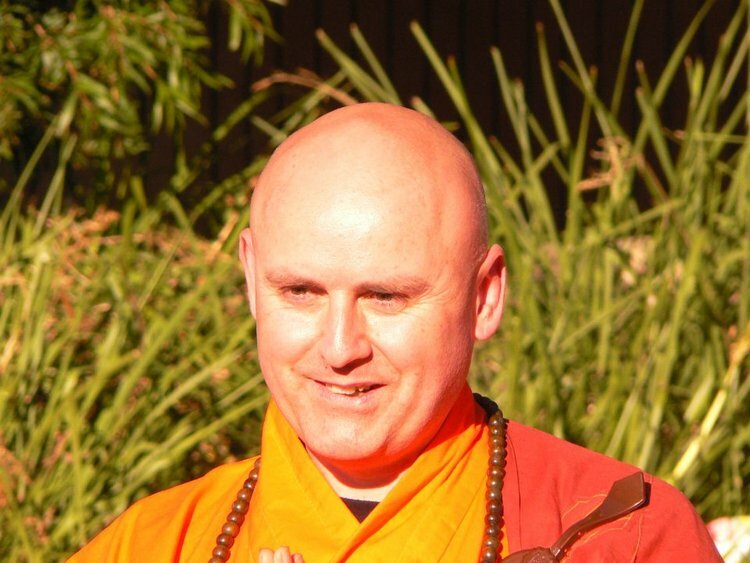 He is a member of the Australian Sangha Association (ASA), and Buddhist Contemplative Care Tasmania (BCCT); a CPE-trained Chaplain working in hospitals and hospice settings; and is an experienced Volunteer Firefighter. Sifu regularly holds classes, retreats, and is asked to speak at public and private events. He is known for his calmness, gentle compassion and good humoured teaching style. Since 2006 Cassie Thomas has been dedicated to a daily practice of yoga, thriving on the physicality of Asana, the wonder of Pranayama, the basic goodness of Yamas and Niyamas and growth that can occur through meditation. It is her belief that yoga has the potential to bring into the lives of those who practice it a greater balance, and awareness to the world at large. Cassie believes that the practice of yoga has the ability to bring greater clarity into daily life resulting in one simply being the best that they can be. Cassie is the founder of Paraka yoga, which is based around the teachings of Tirumalai Krishnamacharya. The word Paraka is derived from the Tasmania Aboriginal word meaning to Blossom. It has meaning in Sanskrit, inhalation, inspiration. Throughout the retreat weekend Cassie will be using Vinyasa Flow with emphasis on dynamic movement and flow of breath, meditation and practices of eastern philosophy. Jessica Maguire is a Mindfulness teacher and Physiotherapist based in Byron Bay. She teaches the fundamental tools of mindfulness using inquiry, insight meditation, open awareness and heart meditations. These ancient teachings help those who practice to develop a stability of core well-being, a greater sense of present awareness and cultivate deeper insight and understanding. Jessica has studied with Jack Kornfield and Tara Brach in California, completing the Mindfulness Meditation Teacher Training Certification. They are two renowned meditation teachers, psychologists and authors, influential in bringing eastern meditation practices to the west. She also studied self-compassion with it’s original researcher Dr Kristen Neff in Denver, Colorado and she has studied with Bo Forbes in London. Jessica is passionate about helping people cultivate daily mindfulness and meditation practices to ease their suffering and bring a sense of well-being to their lives. Yes. A non-refundable $500 deposit is required to secure your place. The remaining balance is then made by three payments. We invite you to complete the application form first and then you will be contacted to see what type of room you would like, and to arrange payment. What if I have an injury or have never practiced yoga before? Cassie and Jessica will liaise with you prior to the retreat and offer you any assistance. They are able to discuss with you your individual needs. Does “Noble Silence” mean I’ll be in silence for the entire retreat? Only parts of this retreat will follow Noble Silence. This is simply allow you to maintain a continuum of awareness throughout. There will still be time each day for sharing. Where do I fly in to? The nearest airport is Gold Coast Airport. Transport will be arranged in the early afternoon to shuttle you from the airport to Gymea Eco-Retreat. Departure time from Gold Coast airport will be advised closer to the date. Return transfers on day seven are also included. What if I select the twin share option? If you are coming with a friend we will ensure that you share a room together. If you wish to share but don't have a room mate we will pair you with another participant that has selected the twin share option. Please be aware that the showers position is not in the bathroom but open to the room - we are happy to assist in arranging shower times to ensure your privacy. Can I have additional spa treatments? Yes! Whilst a one hour massage is included in this package there will be free time for you to schedule additional treatments. You can click on the APPLY NOW button below. Whilst we will do our best to provide you with your first preference, places are subject to availability and "is a first in best dressed" scenario! Please note that our retreats usually sell out well in advance. Yin Yoga: Fully come home to the body in each session. Yin is a slow paced stlyle where asanas or poses are held for a sustained time. Hatha Yoga: Includes the practice of asanas and pranayama, which help bring peace to the mind and body, preparing the body for deeper spiritual practices such as meditation. Dynamic Pilates: Find your centre using flexibility, muscular strength and endurance movements. Pilates emphasises proper alignment, core strength and muscle balance. Mediation: See clearly the reactions and distortions that arise in our daily life and cultivate an awareness of the freedom and clarity that is available in each precious moment. Dharma Talks: Cultivate the Heart-Mind connection through the life and teachings of the Buddha. Ritual and Ceremony: Inquire within your heart to find out what new intentions you would like to set for your life and all that you are ready to let go of. All movement sessions offer progressions and regressions and alternatives if you have any aches and pains. The Weekend Retreat has been designed to serve both experienced meditators and beginners. We welcome men and women 18 years and older. Day one begins in the recently renovated threshing barn of Highfield Historic Site at 2pm. After practice we will enjoy a delicious seasonal vegan dinner together. Day two begins with a morning movement session and a nourishing breakfast. A variety of movement and meditative practices will be explored throughout the day, which concludes at 7pm. Day three will also commence with a morning movement session and the retreat will close at 3:30pm. Delicious, raw snacks will be provided over the weekend alongside our refreshing tea blends. All meals, refreshments and snacks are included. All equipment will be provided so you don't need to worry about a thing except letting go and enjoying yourself! Emma founded Provenance Kitchen in 2017 as a way to share her infectious love of Tasmanian produce with the world. 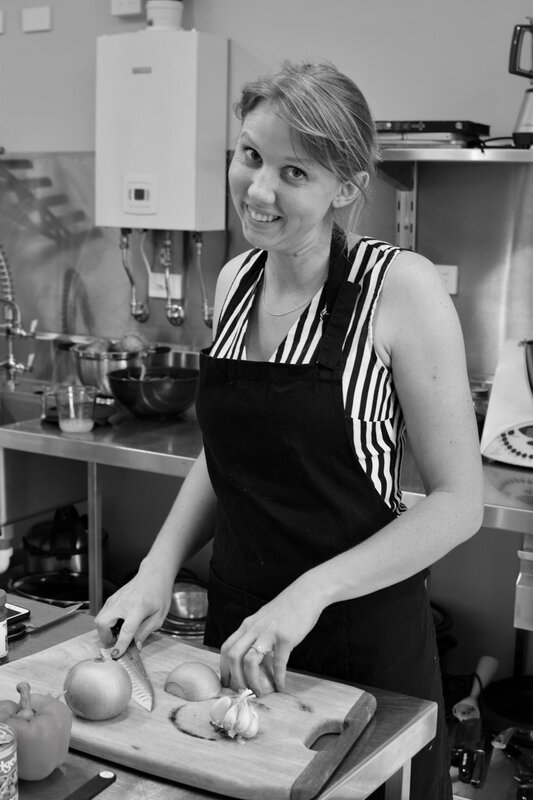 She now runs boutique cooking classes showcasing local produce and exploring its origins. The catering side of Provenance Kitchen provides private function catering. In her spare time Emma makes custom cakes, including wedding cakes and other sweet treats. Emma likes to bring a sense of calm to the kitchen and seeks to promote enjoyable, stress-free cooking. Her cooking style can best be described as ‘glass-of-wine-in-hand’. Paraka yoga is based around the teachings of Tirumalai Krishnamacharya. The word Paraka is derived from the Tasmania Aboriginal word meaning to Blossom. It has meaning in Sanskrit, inhalation, inspiration. Throughout the retreat weekend Cassie will be using Vinyasa Flow with emphasis on dynamic movement and flow of breath, meditation and practices of eastern philosophy. Jessica Maguire is a Physiotherapist who integrates manual therapy, Japanese classical acupuncture, meridian therapy, Clinical Pilates and Mindfulness to treat her patients in private practice. She works at Integrative Acupuncture and Physiotherapy in Brunswick Heads, northern New South Wales. She teaches the fundamental tools of mindfulness using inquiry, insight meditation, open awareness and heart meditations. These ancient teachings help those who practice to develop a stability of core well-being and a greater sense of present awareness. At the retreat Jessica will teach on self-compassion, self-forgiveness and working with painful emotions. These teachings help us to discover wisdom, peace and to open our heart. She blends these practices with mindful movement and Pilates. Jessica has been studying under Jack Kornfield and Tara Brach in California. They are two renowned meditation teachers, psychologists and authors, influential in bringing eastern meditation practices to the west. She also studied self-compassion with Dr Kristen Neff in Denver, Colorado. Jessica is passionate about helping people cultivate daily mindfulness and meditation practices to ease their suffering and bring a sense of well-being to their lives. She also hosts Awakening the Body and Mind Podcast., which creates conversations that are honest, raw and vulnerable so that a deep insight into the life of each storyteller is gained. The Path of Awakening Weekend Retreat will take place on March 22nd, 23rd and 24th at Highfield Historic Site, in Stanley, Tasmania. This retreat provides an opportunity for those new to meditation to learn a valuable but gentle introduction to insight meditation and the Dharma teachings in a welcoming, supportive environment. Three presenters will combine movement, mindfulness, meditation and more to guide you through that which you are ready to release, and that which you wish to cultivate that's inline with your hearts deepest aspiration. It is a time to nourish your body, mind and heart and to cultivate a sense of peace and stillness. how to let go of self-judgment and blame: true transformation happens when we let go of the inner-critic. loving-kindness practices for our own heart as well as for others. Day one begins in the recently renovated threshing barn of Highfield Historic Site. After practice we will enjoy a delicious seasonal vegan dinner together. Day two begins with a morning movement session and a nourishing breakfast. A variety of movement and meditative practices will be explored throughout the day, which concludes at 8pm. Day three will also commence with a morning movement session and the retreat will close at 3pm. Delicious, raw snacks will be provided over the weekend alongside our refreshing tea blends. All meals, refreshments and snacks are included. A vegan cooking demonstration will be included as a part of this retreat. At the retreat Sifu will present teachings on: “Boundless Compassion,” focusing on Visualization and Recitation as a means of awakening the heart to the way of true understanding and love. The session will conclude with a Medicine Buddha healing ceremony. Jessica Maguire is a Mindfulness teacher and Physiotherapist who works at the the Centre For Mind Body Wellness, Byron Bay. Our seven day Mind-Body Wellness Retreat will take place at one of Australia’s most desired beachfront coastlines, Oceans Retreat. Daily classes are lead by Cassie Thomas (Yoga Instructor) and Jessica Maguire (Physiotherapist and Pilates Instructor). They work together in each class to assist with modifications and technique correction. 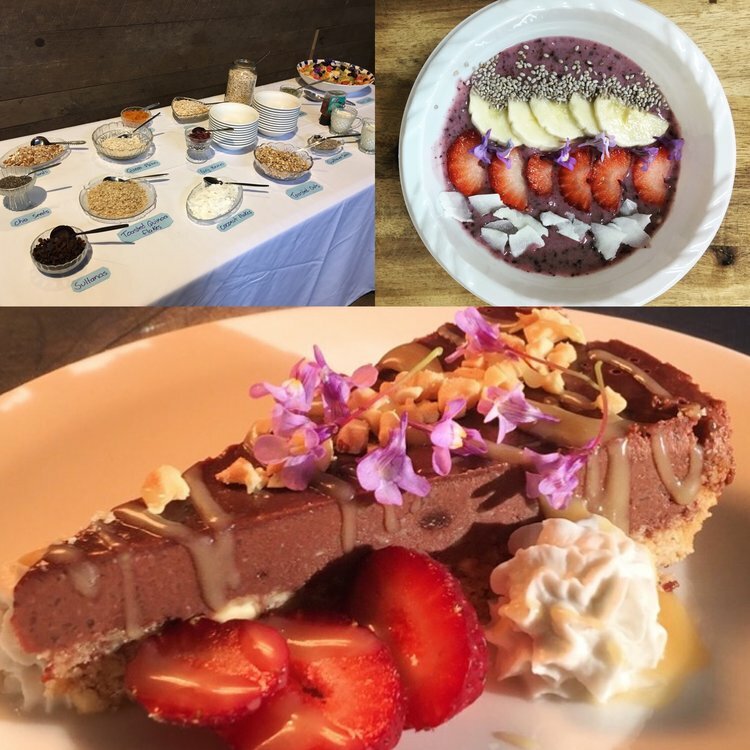 This retreat will showcase how food can be just as enjoyable on the palate as it is good for your body. The Oceans menu is a colourful and flavorsome exploration of clean, simple and inspiring foods that you can take back to your own dinner table. With it, you will integrate the Oceans kitchen with yours in the easiest way possible, helping you to optimise your health and wellbeing for life. 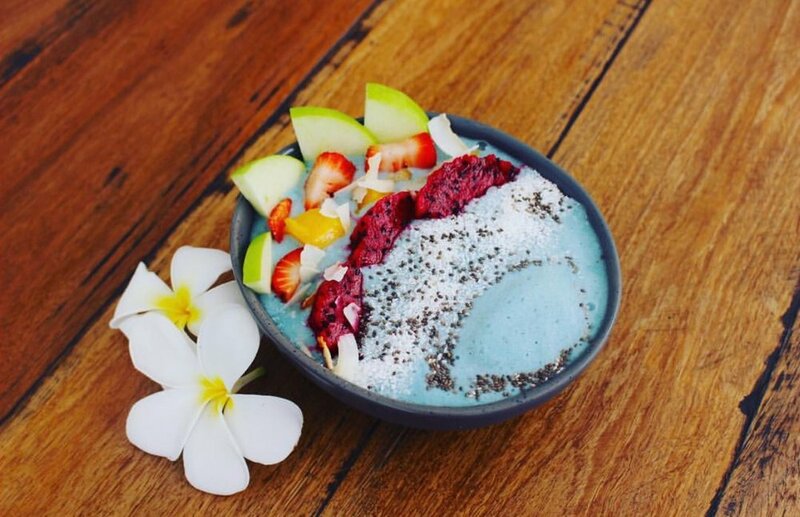 All meals and snacks at Oceans Retreat can cater to your specific needs, whether that be gluten free, lactose free or vegetarian. They use free-range, organic wholefoods from local sustainable sources. 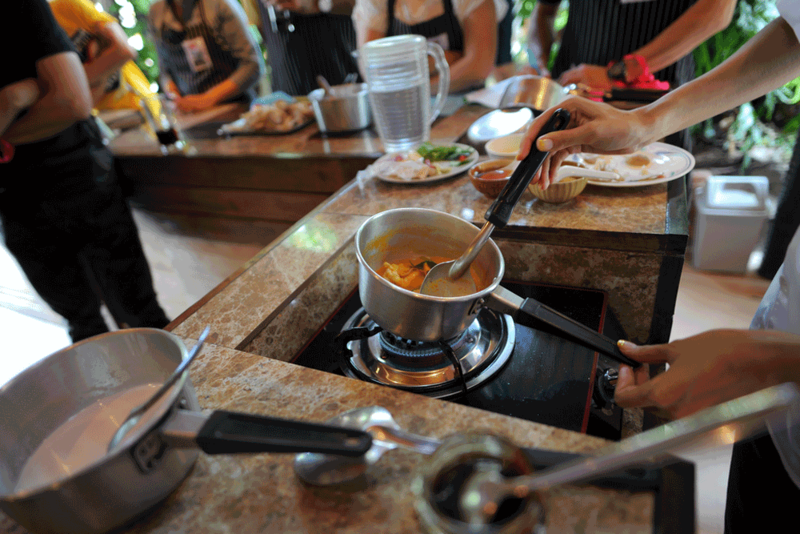 You will also enjoy a cooking lesson with market fresh produce purchased on our excursion to Byron Bay. The Northern Rivers region of New South Wales is an area which encompasses the worlds oldest subtropical rainforests, magnificent beaches stretching from the Gold Coast to Byron Bay and mountains forged by ancient volcanoes more than 23 million years ago. The retreat is open to men and women 18 years and older. This is an opportunity to share a beautiful experience with your partner or a friend. If you are travelling alone but would like to share a room, we can help you find a suitable room-mate. The yoga, Pilates and meditation sessions are suitable for beginners. We cater for all fitness levels with our combined expertise, making this a personalised and tailored experience. We're happy to discuss this with you prior to the retreat. Your retreat will be hosted by Cassie Thomas and Jessica Maguire, co-founders of Coming Home To Your Body Retreats. Since 2006 Cassie has been dedicated to a daily practice of yoga, thriving on the physicality of Asana, the wonder of Pranayama, the basic goodness of Yamas and Niyamas and growth that can occur through meditation. She is the owner of Paraka Yoga studio. It is her belief that yoga has the potential to bring into the lives of those who practice it a greater balance, and greater awareness oof the world at large. Cassie believes that the practice of yoga has the ability to bring increased clarity into daily life resulting in one simply being the best that they can be. Paraka yoga is based around the teachings of Tirumalai Krishnamacharya. The word Paraka is derived from the Tasmania Aboriginal word meaning to Blossom. It has meaning in Sanskrit, inhalation, inspiration. Throughout the retreat weekend Cassie will be using Vinyasa Flow with emphasis on dynamic movement and flow of breath, meditation and practices of eastern philosophy. Jessica Maguire is a Physiotherapist, clinical Pilates instructor and Mindfulness Meditation Teacher in Byron Bay. On discovering the transformative power of Mindfulness, Jess applied the life-changing tool in the treatment of her patients who were then able to reach their health and fitness goals consistently and improve their physical, mental and emotional health. Emphasising the use of mindfulness meditation, mindful movement, contemplative practices and taking time out to retreat from the hectic pace of every day life, Jess co-created the Coming Home to Your Body Retreats in 2016 with Cassie. Their weekend and week-long retreats are held in Tasmania, Bali and also New South Wales, and join with other practitioners to offer an unforgettable and life changing experience. After six years running her own physiotherapy practice in Tasmania, Jess undertook a world-wide sabbatical to delve fully into the world of neuroscience and mindfulness, learning from the best teachers and researchers she could find. Extensive travel through Asia and the USA led her to undertaking Mindfulness Meditation Teacher Certification in Scotts Valley, California with Tara Brach and Jack Kornfield, two renowned meditation teachers, psychologists and authors, influential in bringing eastern meditation practices to the western world. Jess learned about self-compassion from its original researcher, Dr Kristen Neff and also studied mindful movement and neuroscience with psychotherapist and yoga therapist Bo Forbes in London. These teachings have helped people free themselves from the suffering of fear, stress, worry and shame for over 2500 years and are supported by the most modern research in neuroscience. Jess blends modern neuroscience and physiotherapy with ancient wisdom to improve wellness and health through the mind-body connection. We are delighted to have Damien Rider joining us for the week! Damien is a world record international ultra endurance athlete, well known for paddling 800km on a prone paddle board from the Gold Coast to Sydney. You can find out more about this journey by watching his documentary "Heart of the Sea". He is also a mindset transformation & optimisation specialist and a functional strength & endurance conditioning expert. He'll be taking fitness sessions at the retreat that are challenging, yet achievable. Please note that places are limited to keep the retreat personalised and intimate. Payment plans are available by arrangement. A $500 non-refundable deposit is required to book your place. Please email hello@cominghometoyourbodyretreats.com if you wish to create a payment plan. To secure your place a $500 non refundable deposit is required. $2525 twin share/$3390 single room. Please email hello@cominghometoyourbodyretreats.com to arrange your booking. The present moment is the place from which our entire world is created. Our work, relationships and day to day experiences all arise from what we're thinking, our feelings and the choices that occur in a connection of infinite moments. But how many of us are truly aware of our thoughts, our feelings and the actions that give rise to our lives? How many of us have taken the time to cultivate and grow one of the critical skills required to create the life and world we dream of? In-depth mindfulness training is perhaps one of the most important steps you can take on your path of personal growth and evolution. And this is why we're thrilled to invite you to participate in our upcoming Oceans Mindset Retreat. 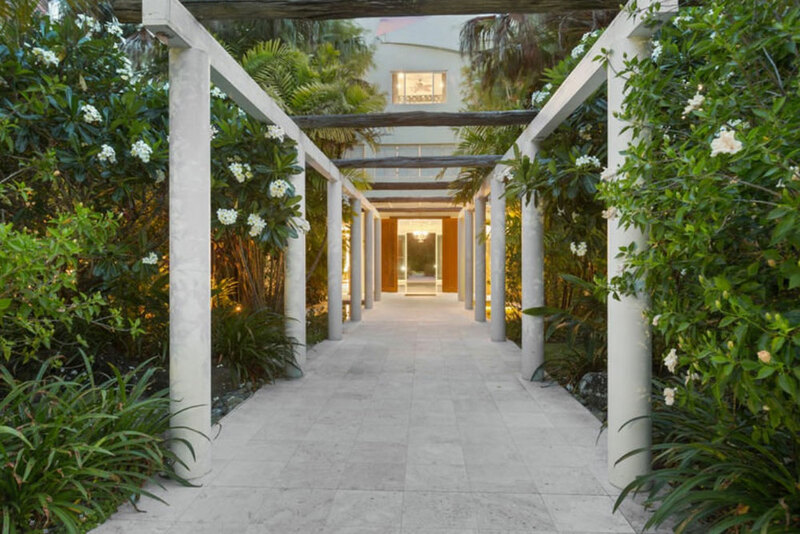 Over this unique three day event at Australia's newest beachfront retreat, you'll learn how to overcome the roadblocks of your mind. We'll use evidence-based techniques in mindfulness, neuroscience, modern research, Buddhist psychology, somatics, biology, manual therapy, ancient wisdom and spirituality to help you become more aware of your thoughts and emotions. This enhances our capacity to cope with life’s challenges with grace and wisdom. Learn to work with and transform your difficult emotions, feelings and thoughts on a moment to moment basis. You'll learn how to work with fear, stress and how to relate wisely to self-doubt. Learn to stay calm and focused for greater effectiveness regardless of what external events and circumstances are in your life. You'll leave this retreat with the skills to better manage stress and anxiety. Learn to bring presence to your daily interactions by slowing them down and responding to them instead of habitually reacting to situations. You'll increase your emotional intelligence, decrease overwhelm and conflict and improve your relationships. Learn what limiting beliefs and negative thought patterns are holding you back from reaching your true potential and living the life you dreamed of. Learn more about what your deepest and truest intention are for work, relationships and living so that you can feel more alive. Are you ready to feel vibrant and happy and let go of the negativity and blockages that have held you back? And are you ready to create the life and existence you know is possible and waiting for you? You’ll learn how to watch and quiet the mind. You’ll learn to slow down. At the end of the retreat you’ll be on your way to having your own meditation practice, one that you continue to use well into the future. You'll be given audio resources for your own personal and spiritual growth. Throughout the retreat you’ll immerse yourself in the best content focused on neuroscience and mindfulness concepts, practices, and instructions. Meditations within the teachings: At the end of the teaching sessions you will be given a short guided meditation practice. Daily Guided Meditations: You will be given daily meditations to help you go deeper with the existing teachings - including a sunrise beach meditation. You'll receive audio recordings to go home with. A powerful opening and closing ceremony and steps on how to integrate the training and practices into your everyday life. Each day includes a movement based class to move and release your physical body and shift any long-held tension. The body is also a profound training ground for developing awareness. We'll utilise the power of the ocean in both ceremony and play to refresh and renew. You will have free time to enjoy a beach walk or swim. Accommodation at Oceans Wellness Retreat. Check in is prior to 10am on day one so you can fully immerse yourself in the retreat. If you wish to arrive before the retreat begins or spend another night to yourself, tailored packages can be arranged to suit your needs. We have both single share (with private bathroom) and twin share options available. Nutrition: Oceans Retreat showcases how food can be just as enjoyable on the palate as it is good for your body. 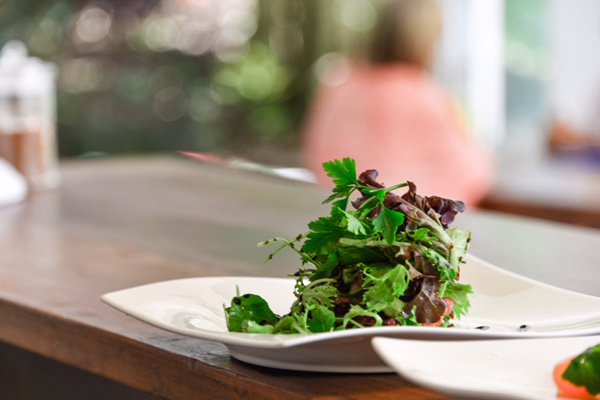 The menu is flexible and meals are both delicious and nutritious by design. All meals, snacks and refreshments are included in this retreat. Daily Movement: Contemporary Pilates Flow classes, embodied movement and myofascial release sessions will help you to reconnect to your body and quiet a busy mind. All equipment is provided so you only have to worry about enjoying yourself. Stand Up Paddleboarding, swimming and beach walks: the beach is just 50 metres away and the perfect place for refreshing, reflecting and renewing whilst being immersed in this retreat. Take home resources: you will be supplied with audio files of the teachings and practices, journalling exercises and reflections. Massage and spa treatments can be pre-booked and scheduled in your free time (additional costs apply). Jessica Maguire is a Mindfulness Teacher, Physiotherapist and Clinical Pilates instructor. On discovering the transformative power of Mindfulness, Jess applied the life-changing tool in the treatment of her patients who were then able to reach their health and fitness goals consistently and improve their physical, mental and emotional health. Emphasising the use of mindfulness, neuroscience, movement, contemplative practices and taking time out to retreat from the hectic pace of every day life, Jess co-created the Coming Home to Your Body Retreats in 2016 with Cassie Thomas. Their weekend and week-long retreats are held throughout Australia and also Asia. They join with other practitioners to offer an unforgettable and life changing experience. After six years running her own physiotherapy practice in Tasmania, Jess undertook a world-wide sabbatical to delve further into the world of neuroscience and mindfulness, learning from the best teachers and researchers she could find. Extensive travel through Asia and the USA led her to undertaking Mindfulness Meditation Teacher Certification in Scotts Valley, California with Tara Brach and Jack Kornfield, two renowned meditation teachers, psychologists and authors, influential in bringing eastern meditation practices to the western world. The studies Jess undertook throughout 2017 will be the foundation of this retreat. She will blend modern neuroscience with ancient wisdom to improve awareness and self-understanding for each person who attends. Jess will be supported by the warm Oceans Retreat team throughout the weekend. If you would like a twin share option and are taking the retreat alone, we will assist you to find a suitable person to share with. Payment plans can be arranged. A $200 non-refundable deposit will secure your place at this retreat. Once your deposit has been made we will contact you to arrange a payment plan. The Awakened Heart retreat will take place on March 17th and 18th at Highfield Historic Site, in Stanley, Tasmania. It is an invitation to pause and go within. To let go of that which has been weighing on your heart in a kind, caring space. To give yourself the time to nourish your body, mind and soul. For self-care, contemplation and deep rest. This retreat will help you to develop a long-term spiritual practice, or teach you how to deepen your current one. Four presenters will combine movement, mindfulness, meditation and more to guide you through that which you are ready to release, and that which you wish to cultivate that's inline with your hearts deepest aspiration. Day one begins in the recently renovated threshing barn of Highfield Historic Site. Two seasonal vegan feasts will be prepared for you to enjoy for lunch and dinner, with the day concluding at 8pm. We welcome in day two with a hike, meditation and outdoor movement session. Breakfast and lunch will again be a seasonal delight of local, nourishing produce. Equipment will be provided so you don't need to worry about a thing except letting go and enjoying yourself! Melissa is a yoga teacher based in the Macedon Ranges in Victoria. She teaches both yin and yang styles of yoga, facilitates group sound meditations and practices 1:1 sound massage. Melissa previously worked in marine biology and anthropology and has a keen interest in exploring our inner world and capacity for living more authentic and connected lives. 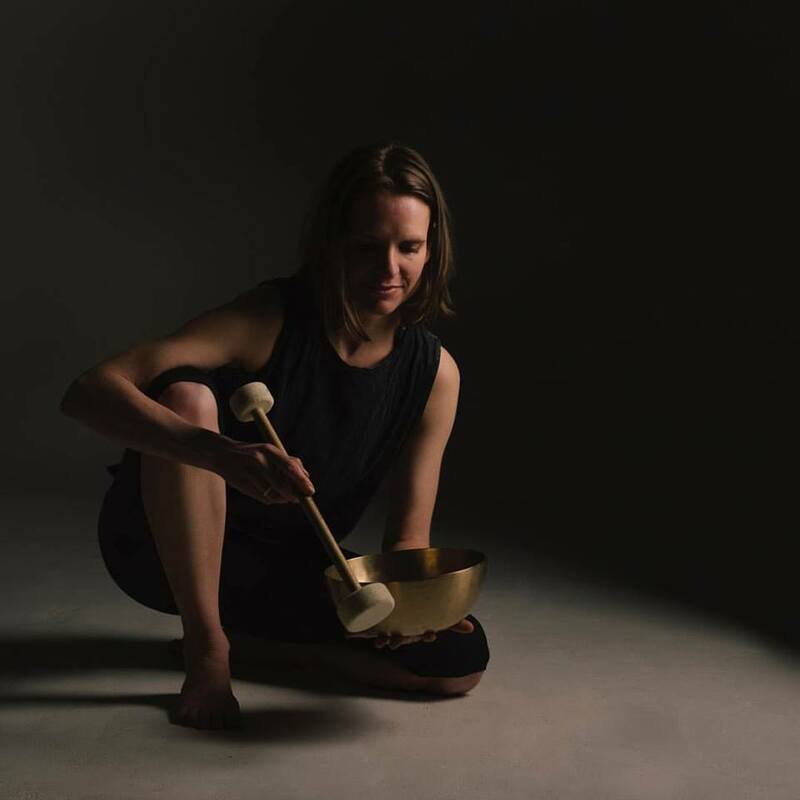 Melissa will hold a one hour sound session using bowls and chimes. Sound can be used to help quiet the mind, enhance self-awareness, release stagnant energy, and induce deep relaxation. She will also hold a yin yoga class. Coming Home To Your Body was co-founded by Cassie Thomas and Jessica Maguire in January 2016. They offer retreats in Tasmania, New South Wales and Bali. Jessica has been studying under Jack Kornfield and Tara Brach in California. They are two renowned meditation teachers, psychologists and authors, influential in bringing eastern meditation practices to the west. Jessica is passionate about helping people cultivate daily mindfulness and meditation practices to ease their suffering and bring a sense of well-being to their lives. "I have attended two day retreats and two weekend retreats and am looking forward to the next one in March. Each time I come away feeling relaxed and armed with more skills to deal with "life". Do you need some quality time to relax and replenish your body and soul? Do you want to learn more about mindfulness, meditation and practices to help with stress management and living at your best? Join us for an unforgettable Weekend Retreat at the beautiful Highfield Historic Site in Stanley, Tasmania on October 7th and 8th. We are honoured to have the passionate and talented Allison Davies join us once again as a presenter at our Weekend Retreat. Allison is a Neurologic Music Therapist and the owner of Oh My Musical Goodness. She has 15 years experience working with children in both clinical and education settings and her focus is on using music to nourish and develop neural, sensory and emotional development. Chanting is Allison's number one tip for supporting brain function in adults and throughout this workshop you will learn why it's so important to your brain health as well as how to do it. Once you've experienced group chanting you'll be hooked for life. Prepare to be relaxed, revived and renewed! Christine Hiltner is a Mindfulness Based Stress Reduction and Mindfulness Based Cognitive Therapy Teacher. She is the co-founder of Mindfulness Programs Australasia, who offer a range of programs to help with improving mental health and wellbeing. Christine is also a certified Yoga Instructor, specialising in yoga for anxiety, trauma and addiction. 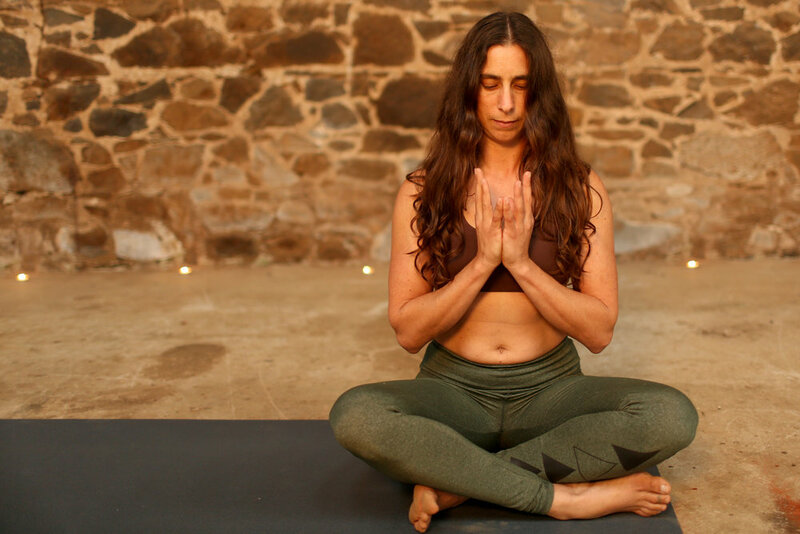 Christine uses her unique skills as a social worker, yoga instructor and Mindfulness teacher to focus on healing through the mind-body connection. Christine will be presenting on how Mindfulness can help us to live with more present moment awareness, to engage more fully in life. We are blessed to also have the incredible Tarnie Blint joining us as a presenter for a second time. She is the owner of Dancing Freedom in Torquay, Victoria and we can't wait to have her in Tasmania again. She will guide a wildly inspiring & supportive free-style dance journey that helps with letting go of inhibitions to freely express unique movement & rhythm. She facilitates freedom dancing, providing a space for equality, honesty, acceptance, tolerance, compassion & support. Her session will involve exploring your own timing, intuition & body intelligence, without judgement. Coming Home To Your Body was founded by Cassie Thomas and Jessica Maguire in January 2016. They combine their teachings to offer life changing retreats in Tasmania and Bali. Cassie Thomas: Owner of Paraka Yoga and co-founder of Coming Home To Your Body Retreats with Jessica Maguire. Since 2006 Cassie has been dedicated to a daily practice of yoga, thriving on the physicality of Asana, the wonder of Pranayama, the basic goodness of Yamas and Niyamas and growth that can occur through meditation. Jessica Maguire: Physiotherapist, owner of Flex Physio and Pilates and is the co-founder of Coming Home To Your Body with Cassie Thomas. Jessica Maguire is passionate about helping people overcome pain, illness and limitations to reach their potential. She balances her hands-on Physiotherapy treatment skills with movement therapy and also brain-based modalities. Jessica is the owner of Flex Physio and Pilates and is the co-founder of Coming Home To Your Body with Cassie Thomas. She's currently completing the Mindfulness Meditation teacher certification through Berkeley University. Jessica will be presenting on how to balance the nervous system to decrease anxiety using the breath, movement, meditation and mindfulness based practices in a unique blend. Her Pilates will focus on the fascial web: the connective tissue matrix that links every cell in our body! The weekend retreat is open to men and women 16 years and older. It caters for all fitness levels and is suitable even if you have had no meditation experience. Enjoy luxurious comfort and a perfect home base in which to enjoy all the wonders of Bali at Floating Leaf Eco-Luxury Resort. 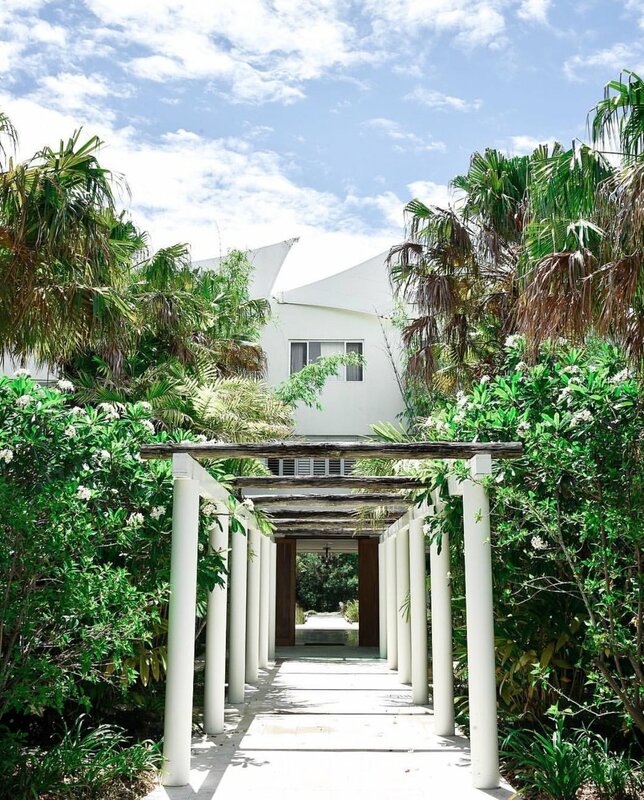 Beautiful villas overlooking the ocean and surrounding rice fields in a secluded setting are the perfect place for you to centre, stretch and reconnect back to your body. Daily Pilates, yoga and meditation sessions will take place in an open air pavilion. You will be challenged physically and you will also be taken to blissful states of deep relaxation. The grounds feature an permaculture garden as well as a large open kitchen where a private chef will prepare delectable healthy meals, juices and snacks with locally grown organic nutrient-rich food. You can indulge at the award winning spa and enjoy a Balinese massage. The healing pool is specifically created with relaxation and replenishment in mind. Daily activities are included such as hiking, swimming at local waterfalls and enjoying time by the ocean. Double/Twin share places are available from AUD$2926. Single rooms have now all sold out. This price includes all taxes, airport transfers, classes, meals, accommodation, Balinese massage, ceremonies and excursions. Join us for an unforgettable weekend retreat at the beautiful Highfield House in Stanley, Tasmania. Day one begins at 10:00am in the recently renovated threshing barn of Highfield House. Two seasonal vegan feasts will be prepared for you to enjoy for lunch and dinner, with the day concluding at 9pm. Equipment will be provided so you don't need to worry about a thing except enjoying yourself! Special accommodation packages are available to retreat participants. Click below to find out how you can save up to 25% off accommodation in Stanley. Allison Davies is a Neurologic Music Therapist and National 2016 AMP Tomorrow Maker, based in Wynyard, Tasmania. Chanting is Allison's number one tip for supporting brain function in adults and throughout this workshop you will learn why it's so important to your health as well as how to do it. Once you've experienced group chanting you'll be hooked for life. Prepare to be relaxed, revived and renewed! Christine Hiltner is a Mindfulness Based Stress Reduction and Mindfulness Based Cognitive Therapy Teacher. She uses a person-centred approach for assisting people to enable their own capabilities for engaging fully in life. She is also a certified Yoga Instructor, specialising in yoga for anxiety, trauma and addiction. Christine uses her unique skills to focus on healing through the mind-body connection. She will presenting on mindfulness over the weekend retreat and it's transformative qualities. Tarnie Blint guides a wildly inspiring & supportive free-style dance journey for anyone wishing to let go of their inhibitions so they can freely express their unique movement & rhythm. Her session involves exploring your own timing, intuition & body intelligence, without judgement. In each journey we traverse the file elements of nature, experiencing our intrinsic connection with each element: Earth, Water, Fire, Air, Ether (Spirit). Coming together in an opening & closing circle, we develop & encourage a culture of equality, honesty, acceptance, tolerance, compassion & support, understanding we are all in this together & that each perspective is sacred . Coming Home To Your Body was founded by Cassie Thomas and Jessica Maguire in January 2016. They combine their teachings to offer life changing retreats. Jessica is passionate about helping people overcome pain, illness and limitations to reach their potential. She balances her hands-on Physiotherapy treatment skills with movement therapy and also brain-based modalities. She's currently studying the latest on mediation and mindfulness through Berkley University in California. She has worked in health and fitness for over 13 years and now brings together unique programs to help people function at their best. Jessica will be presenting on how to balance the nervous system to decrease anxiety and to think and feel your best. She will use the breath, movement, mobility training, meditation and mindfulness based practices in a unique blend over the weekend. You will learn the practices of self-compassion and how creating change to your health and wellness happens when you stop self-criticism, comparison and expecting yourself to be perfect! Do you want to start using meditation to help with stress management and coping with your emotions, feelings of overwhelm or anxiety but are not sure where to begin? Our Summer Day Retreat on February 25th 2017 may be just the thing! We are delighted to have Mindfulness Based Stress Reduction expert Christine Hiltner as our guest speaker for the day, joining us at the beautiful Highfield House in Stanley. Learn how mindfulness and meditation can help enrich your life and your relationships and improve your health and well-being. Self-compassion involves offering kindness towards yourself when you are having a difficult time, fail, or notice something you don’t like about yourself. Instead of judging and criticising yourself for various inadequacies, self-compassion means you are understanding when confronted with personal failings – after all, who ever said you were supposed to be perfect? This day is suitable even if you have no previous meditation, yoga or Pilates experience. A seasonal vegan lunch, delicious raw snacks and refreshing tea blends will be served. Join us at the Historic Highfield House for a day of movement, mindfulness and meditation in the newly renovated space at Highfield House. A brand new Tasmanian oak timber floor awaits for yoga and Pilates sessions, as well as a commercial kitchen for a delicious chef prepared seasonal lunch. This retreat is suitable for all fitness levels and beginners are welcome - it's open to men and women 16 years and older. All equipment, lunch, snacks and refreshments are included in the cost. -Myofascial Release using equipment and props: learn how to release those tight muscles that you just can't stretch. You can become your very own massage therapist. -Experience yoga and Pilates practices to help release and open up through the body including dynamic hip opening work, postural corrective exercises and deep stretching. Suitable for all fitness levels and includes a delicious morning tea.